Please file a bug report, attaching the logs from the launcher - %LOCALAPPDATA%\CCP\EVE\Launcher. Has anything changed in your network setup? Is there a way to have the Launcher remember which account is used on which monitor? Also, the Tracking Camera doesn't want to work for me anymore. Is there a fix? I was about to install the new launcher in my existing EVE folder. Im glad I came back to check your comment and I put it in a new folder. The launcher installer should itself be smart enough to identify and hint, "Tthe target folder appears to contain an existing EVE installation. Installation in an empty folder is recommended." The popup for the weekly news post was overlaid on top of my login prompt. I was startled to see "Insecure" next to "remember this account". How do I get the old behavior of remembering only the account name and not password? Just finished testing it out, seems to be fixed. Was sluggish for the 4th client, and I tried it twice, but I attribute that to being the limits of my computers capabilities. Please file a bug report, attaching the logs from the launcher - %LOCALAPPDATA%\CCP\EVE\Launcher - assuming there are any. Please include details on your system, OS version in particular. EVE Launcher fail here for me. Game was working fine and then this patch and I can't run the game. The launcher launches, then I can put in my username/pass and hit "login" but then the button to "play" is greyed out. The status bar at the bottom just says "installing files" and hangs forever. Sometimes I try and it says something like "cannot update launcher etc etc"
I have tried deleting my launcher folder. Then I downloaded the launcher and reinstalled. Same error. Even with the new launcher from Friday. I looked at my launcher error file, and there was some stuff in there about SSL connection. I disabled my firewall, etc and no luck. Like I said, though, I changed nothing. It was the patch that caused everything to stop working - i.e. that is the only thing that changed. Any help is appreciated. Missing out on gametime here and trying to avoid a full reinstall for what is obviously a bug. Ok, everything was working fine with old launcher. Installed it and now my display won't work right. My monitor native resolution is 1920*1080 but in that res it only displays the upper left 2/3s of the screen. So I can't see my chat windows or station services on the right because that part is all clipped. If I open the drop box and select windowed mode and apply. It changes the resolution to 1536*864 and everything goes a bit blurry but everything centers properly again. havent kept up on the issues with laucher so first time i see this, something similar is happening with me too .. was just quessing it is my video card slowly dieing ..
using 2 monitors and sometimes the client in one jumps into the 2nd monitor .. but keeps the resolution so everything gets squeesed into a smaller monitor . mice dosent play ball in there and is little bit off from the cursor ..
can't find client launch command line options. i cannot add /LUA:OFF or can i? Network diagnostics is bit off id guess .. not sure what it is smoking these days ..
was rebooting the router and got the No network thingy so opened the diag tools and ran the download test for the luls ..
Got your bug report, have an idea what may be going wrong. Try disabling 'Download everything' for now, see if that gets rid of this stall. If my theory is correct I'll have this fixed in a day or two. No, there is no option for that. I'll add it to my list. I installed and had some option to load to new launcher the old launcher cache (or something like that) Then a not so funzy window told me about drag old caches into new launcher (or something like that) Then I realized I had two sources to drag. Maybe two caches or sets of preferences from two different disc on my computer, perhaps from an old installation that didnt uninstall completely? I dont know. Then once dragged there was not button of ok or anything so I never knew the operation was completed (until later). The new launcher I had to find it in some folder of my computer and copy an alias to my desktop and it was cool as I dont have to open as administrator as I have to do now with this awful Windows 10. I liked how it looks and how it loads and presents my two accounts. BUT no preferences are stored. No window arrangement, sound preferences or any customization I have done in the past was remembered. I think I was lucky enough to realize that opening the old launcher works like nothing of this would ever happened. So until learning how to retrieve my preferences I will have the new icon untouched in my desktop. What did you say about CODE? If I select 1920x1080 window mode, everything goes to crap. The text is super pixilated and unreadable and the menus interact at an offset. I discovered that screenshot does not remember cursor position so I had to draw it in. Basically I have to move my cursor 3 inches away towards the bottom left to interact with the interface. spoke too soon. Whereas launching the 4th client caused issues yesterday, today I am back to a limit of two with no idea what changed. I have successfully gotten EVE to run now. Apparently evelauncher is not handing off GPU functions to the eve client. So if evelauncher uses integrated graphics, the process it launches also uses integrated graphics. I manually added evelauncher to program settings in my nvidia control panel and changed the default from integrated graphics to nvidia. While there I also added the new shared cache exefile.exe to nvidia processes as well and designated it to use nvidia card. Now everything seems to be working properly. Apparently, Nvidia only has a profile for eve.exe not exefile.exe. Or something. Anyone, if anyone else has similar troubles as I gave in my previous posts please advise them that they might need to manually add evelauncher.exe and exefile.exe to nvidia profiles. Even if things worked fine with the old launcher. Why does the new Launcher install create a new folder on my hard drive, in a different place from where my old pre-existing EVE install is? I imagine that this will cause all of EVE's files to be installed in this new folder, regardless of the fact that almost all of them already reside on my hard drive, in the old folder, so that twice as much space is taken up as is necessary? Who failed to think this through? I keep getting the message below. Running repair.exe doesn't solve the problem though. The old launcher works fine. I've downloaded and reinstalled the launcher, problem persists. Can I supply logs of some sorts to help with debugging efforts? 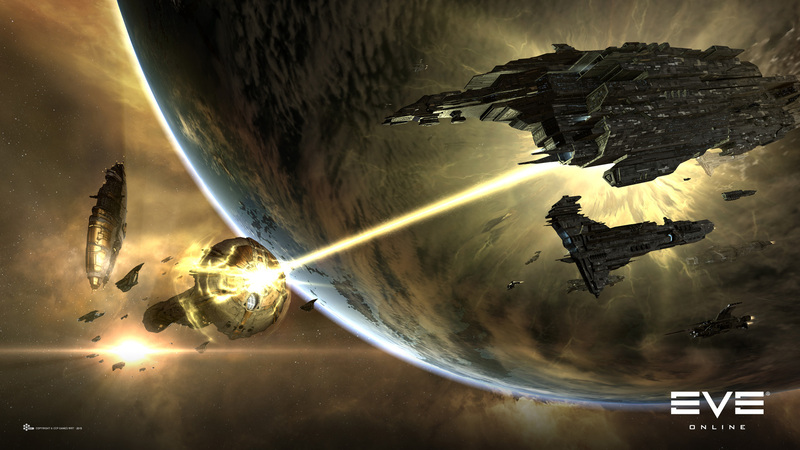 Your EVE client installation may have modified, damaged or corrupt files. Please run repair.exe located in the EVE game directory or re-install the game client. Verification failed: 'C:\ProgramData\CCP\EVE\SharedCache\tq\bin\staticdata\mapObjects.db', crc:b0a3cd61, expected:c7a349b8. Try running as administrator, see if that helps. I suspect that there are some permission issues. Did you upgrade from Windows 7, by any chance? You may need to take ownership of the C:\ProgramData folder, and also look under %LOCALAPPDATA%\VirtualStore - delete any files under the CCP folder, if it exists there. There are some weird permission issues going on in Windows 10 after an upgrade that I haven-¦t been able to fully understand. Feel free to delete the old EVE installation folder once you are satisfied with the new launcher working well for you. I upgraded from Windows 8.1. Deleting %LOCALAPPDATA%\VirtualStore\ProgramData\CCP seems to work for me. I'll post here again if my issue returns. Alright, new problem with the launcher. I had selected download everything because I hate loading lag. It took most of yesterday and today, but when I came home today the progress bar is full and there are no files being transferred. However my cable modem was running at capacity. So I turned off the launcher and the ghost download stopped. I restarted the launcher again and it started using my bandwith, but the progress bar is still full. The taskbar is showing a 10% green progress bar for the launcher. It is slowly filling up, but the launcher itself is showing no downloads pending. So this is making eve nearly unplayable again. The launcher should switch to trickle dl when the game is active, but it seems to be maximizing bandwidth instead, which is making the game laggy. Also, if the launcher is downloading stuff, it should darn will indicate that it is downloading in the client, and why. Instead it just says "Ready" and shows a full blue progress bar. Can you guys make it so we can paste our password into the Mac launcher? I get an error when starting the latest launcher (EveLauncher-992878). "The shared cache folder is not writeable[sic]. Click Yes to change permissions on the folder, or No to exit." "Failed to fix permission of shared cache folder. Please ensure that the folder C:/EVE/SharedCache is writeable." I installed EVE in C:\Program Files (x86)\EVE, not C:\EVE. So it's looking in the wrong place for this folder. 2015-12-21T01:51:18.048ZdebugApplication dir: "C:/Program Files (x86)/EVE/Launcher"
It looks like many other parts of the launcher are told to look specifically in C:/EVE instead of the custom location, too. I think the Mange Profiles UI (at least on the Mac) would be helped by having explicit buttons between the old profiles and new profiles windows that will explicitly move the profile one direction and the other. I completely missed that we were supposed to drag and drop. I assumed that by highlighting on the left, and clicking "add profile", it was adding it to the other side when it was creating a new one. I thought it lost all of my settings. Pretty great launcher, hard to go without theses days. But pretty please, make "play" buttons disabled until the launcher is "Ready", or at the very least make the whole "Please Wait/Downloading/Ready" thing more obvious. Every morning I forget about this please wait thing and hit launch before it's ready, and get that file permission error message (which in some way I deserve). Apologies if this has been answered elsewhere. I uninstalled the old client (what can I say, I prefer clean installs), installed the new launcher, ticked 'download everything' and set overview, layout etc up in game. Every time I restart the launcher I lose my settings and it starts downloading everything again despite having a folder size in excess of 2GB. Edit: folder was not writeable in Windows 10. Zappity's Adventures for a taste of lowsec.